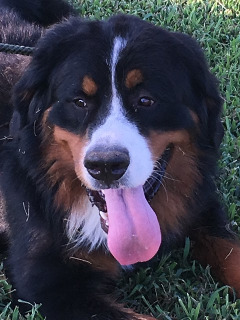 SASHA IS A BEAUTIFUL AKC BERNESE MOUNTAIN DOG. 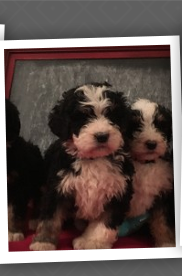 SHE IS AKC/CKC DUAL REGISTERED. 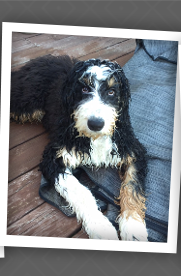 SHE IS VERY INTELLIGENT, EXTREMELY AFFECTIONATE, PLAYFUL PERSONALITY AND LOVES TO PLAY IN THE WATER. SHE LOVES TO GO TO PETS MART AND IMMEDIATELY GETS THE ATTENTION FROM EVERYONE IN THE STORE. SHE IS AN ABSOLUTE SHOW STOPPER. SASHA HAS THE SOFTEST COAT. IT FEELS LIKE VELVET. SHE HAS A THICK DEEP BLACK WAVY COAT, WITH A SWISS KISS ON THE BACK OF HER NECK. SASHA IS A BIG GIRL AND IS CURRENTLY AROUND 80 LBS. 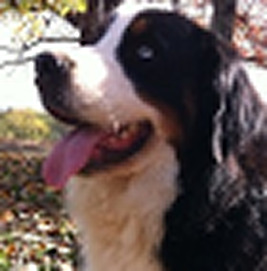 Cyblee is a big beautiful Bernese Mountain Dog with one blue eye. 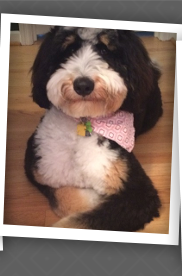 She is AKC/CKC Dual Registered and has been health tested by VetNostic Labs. She is not a really tall girl but she is heavy. She likes to eat. She is usually aroun 105 lbs. She has the thickest/waviest coat of all the females. She is the happiest of all of our dogs!!! Her tail is always wagging and she wants all of the attention. She is also very loving, extremely friendly, very intelligent and a big lap dog!!! 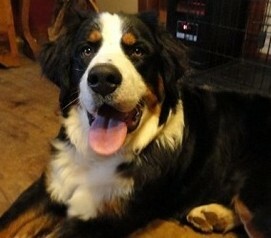 Kincaid is our Bernese Mountain Dog Sire. He is going to be huge. He is 105 lbs at 1 year old and still growing. He is AKC/CKC Dual Registered and his Grandfather is a Grand Champion. 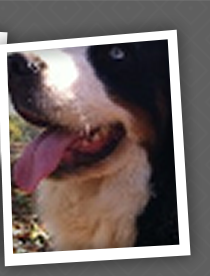 He has over 30 Champions in his Pedigree with multiple OFA results as well along his lines. 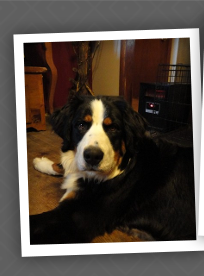 Kincaid has been health tested via VetNostic Labs and will have his OFA completed once he is old enough at 24 months. Kincaid will be going to the show ring once the Dog Flu has resolved. We are so excited to show the handsome boy. He has the most stunning vibrant rust color and will maintain it!!! He is loving, extremely calm and likes to strut his stuff!! !